The Practice of Play vs. Leisure – Love. Life. Practice. Welcome back! After a (supposedly) much-deserved vacation in San Francisco, the blog is back, I’m back…and I’m discouraged. I am not terribly good at this vacation thing. It…confuses me. Part of it is because I live pretty hand-to-mouth. My concept of “paid vacation” is going somewhere that I can do some work with maybe the opportunity to visit a nice place while I’m there – a beach, a museum, a park, a concert. Even this last week I couldn’t resist pulling in a little cash by giving a two-hour virtual lecture to a small community group in Montreal. Yoga, blogging, and listening to audiobooks all sound like leisure activities to me. So does building a robot, changing one’s own oil, or going for a swim. If something concrete happens to come of it, that doesn’t make it not-fun, and I’d suggest that the difference is in the attitude with which one approaches the activity. 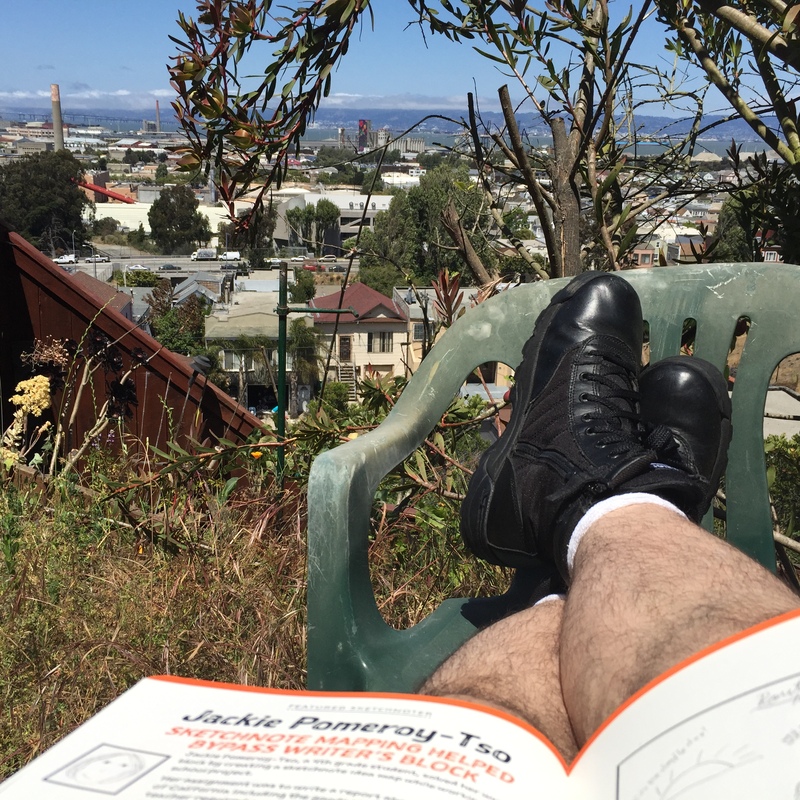 It’s a useful perspective: just because I’m being productive doesn’t mean that I’m not being leisurely. Or maybe the real fact is that I’m not really wired for leisure, as the word is usually defined: freedom from the demands of work or duty. Of course, the secondary definition contains that “change of attitude” that she mentioned by adding on …when one can rest,enjoy hobbies or sports, etc. And I pretty much have to admit that personal development is my hobby. Sure, I’d like to make money on it as well – but while sitting on the beach with a beer sounds incredibly boring to me, sitting in a park with a cigar listening to the On Being podcast is one of the most fun memories of my vacation. But I mine podcasts like that to write content like this, and since this is at the very least a part of my avocation, that means I’m not actually relaxing…right? It’s pretty obvious by now that the real problem lies less in what I’m doing and more in the thoughts I’m attaching to the activities. “Does this qualify as rest? Am I doing this ‘relaxing’ thing right?” A better strategy would probably be to pay less attention to how each activity is categorized and more to how I feel before, during, and after it. Am I looking forward to doing this, or am I dreading it? While I’m doing it, am I engaged by it, or just counting the minutes until it’s over? Am I able to get into flow state? Afterwards, do I feel good or bad about it? Energized or depleted? If there is satisfaction, is it grim or joyful? I’m not saying that there are any right or wrong answers to those questions. There are some things – like yoga – that I do because afterwards I have a grim satisfaction that I have taken a step towards a healthier physique. But if the answer to all three is somewhat negative – you dread the activity, you hate it while it’s happening, and afterwards you feel awful about it – there may be another question to ask: why are you doing that? And maybe is there something else you could do that would make these things better? The shift, for me, is to worry less about whether something is “work or play“. In fact, I’m declaring here and now that it’s as false a dichotomy as “work and life.” Play can be productive, as Vinegrrl stipulates, and we certainly all know that work can be completely worthless. If what we’re looking for is quality of life, I think it might be more useful to consider two different categories: flow and stagnant. We’ll talk more about what those actually mean on Wednesday. In the meantime, I’d love to hear the ways you define “leisure time” – and if you also have trouble relaxing? If not…how did you manage that trick?